Under a bill that passed the California state Assembly, more dogs and cats used for medical research could avoid euthanasia and be adopted. Assembly Bill #147 now heads to the State Senate. Of the dogs that the University of California researchers tested in 2013, 24 were adopted and 32 were euthanized. Lorna Campbell, managing director of the Beagle Freedom Project, a lab animal rescue group, estimates that the bill would save around 100 dogs and 100 cats yearly. Exceptions are made in the bill for animals that are unadoptable because of serious illness or injury. Beagle Freedom Project helped to sponsor Bill #147. The group got their name because Beagles are the most common breed of dog used in laboratories and often are specifically bred for research, due to their small size and a docile, gentle nature – something that makes them less likely to lash out at researchers even as they suffer through painful and frightening procedures. Similar laws exist in Minnesota and Nevada, and this very type of legislation was signed into law in Connecticut in July. It’s something Humane Society International has lobbied for, even as their team continues to work around the world in an effort to see that outdated animal tests are replaced with cutting-edge non-animal techniques. Research that uses animal testing continues to grow less popular. According to Paul Mueller of UC San Diego’s Office of Research Affairs, that’s mainly due to the ethical issues. 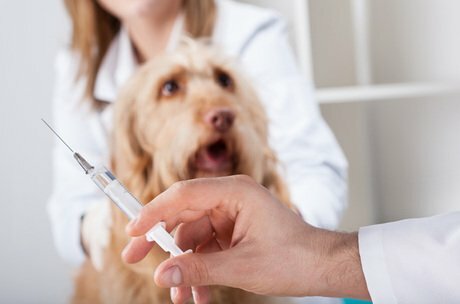 While intellectually understanding the need for this medical and scientific research, increasing numbers of people are finding it difficult to reconcile study advances with the suffering of the dogs and cats used in the research. It takes a lot of patience to care for a rescued research animal. They can be especially fearful, often having never been outside or experienced simple activities like strolling on grass. Campbell says her organizations looks first to place them with families who have another dog in the home, so the test animal has a new friend to take their cues from and help make their transition easier.